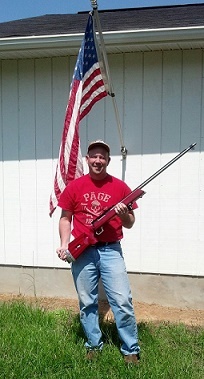 Mike is smiling with his new Precision Rifle and Tool Custom Rifle. It is chambered in a custom .308 Bisley in a 32″ BRUX Med. Palma Barrel and a PR&T Long Range Prone Stock.